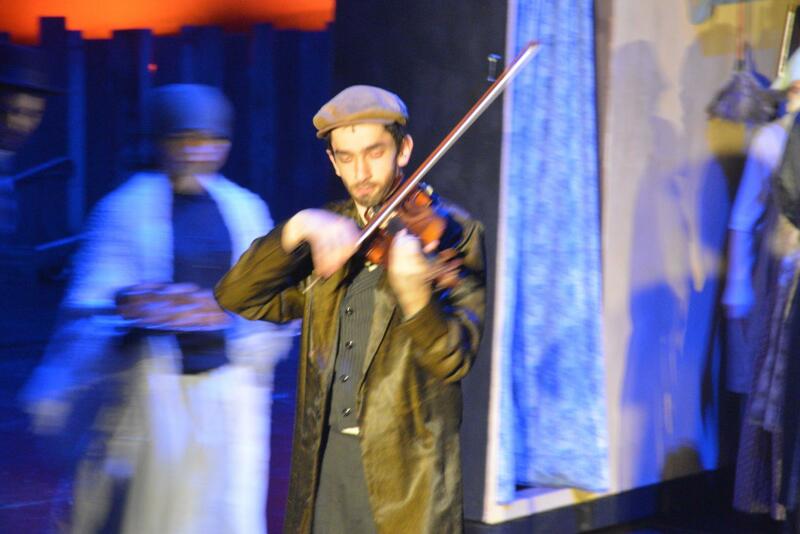 The drama club performed Fiddler on the Roof on March 15-16. The show was directed by Pat Haynish and Rob Sapp. The classic musical tells the story of Anatevka, a 19th-century Jewish community in the region of Eastern Europe that is now part of Ukraine. The story centers around Tevye, the town dairyman, and his five daughters, for whom he must find suitable husbands. Through social commentary and memorable music, this musical explores important themes of tradition, family and faith. There were many standout performances. Jonathan Slain was very powerful as Tevye. His acting and singing abilities fit perfectly for the iconic role. Maya Neyman gave a very soulful and commanding performance as Golde, Tevye’s wife. Another notable performance was Ruth Brown as Fruma-Sarah in her show-stopping solo in “Tevye’s Dream”. Every cast member gave a unique and impressive performance. The musical accompaniment in Beachwood’s production of Fiddler on the Roof was also impressive. Tal Yankevich opened the show as the fiddler and was joined by the show’s orchestra, conducted by Haynish, and included many talented BHS musicians including violinist Sabrina Fadel. 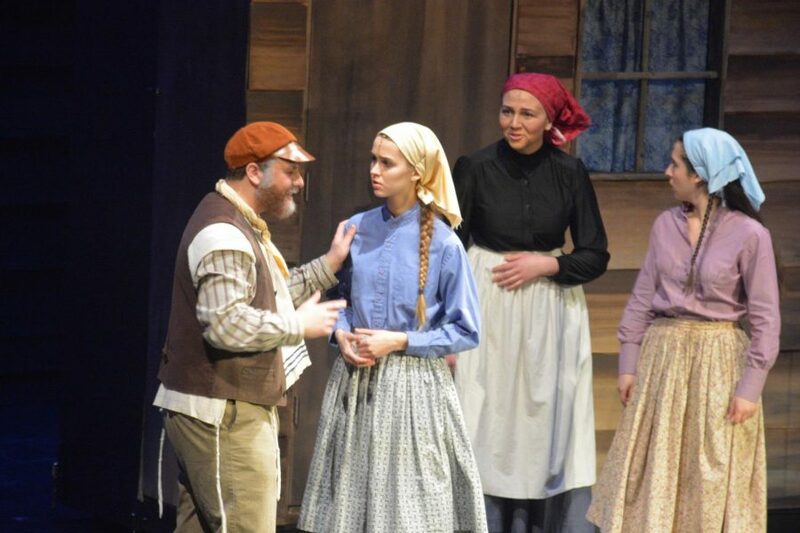 Tevye’s daughters, including Lexi Glova as Tzeitel, Joelle Rosenthal as Hodel and Jordyn Zawatsky as Chava, performed a beautiful, lighthearted rendition of “Matchmaker”. Beachwood’s production of Fiddler on the Roof was full of many fun and entertaining dance numbers as well. “To Life” stood out, led by Slain, Zach Ritzenberg as Lazar Wolf, Eric Golovan as Fyedka and many other ensemble members. In this sequence, tension grows between the Jewish revelers and the hostile Russian soldiers, but the tension is met with energetic dancing and acrobatics from the ensemble. The most notable number, however, was the closing to Act one: “The Bottle Dance”. The audience was fully engaged, clapping and cheering, as members of the ensemble balanced bottles on their heads and danced at Tzeitel and Motel’s wedding. It was very clear to the audience just how much time and effort was put into this production. The cast presented Fiddler on the Roof in a way that perfectly showcased its classic songs, dynamic characters, and universal themes. Directors Sapp and Haynish surely put together a show to be proud of.